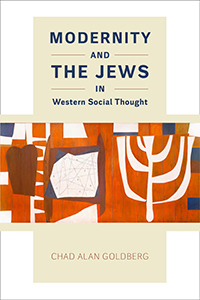 The Midwest Sociological Society is excited to announce this year's MSS Distinguished Book awardee, Chad Alan Goldberg, for his book, Modernity and the Jews in Western Social Thought (University of Chicago Press, 2017). Dr. Goldberg is professor of sociology and affiliated with the Center for German and European Studies, the George L. Mosse/Laurence A. Weinstein Center for Jewish Studies, and the George L. Mosse Program in History at the University of Wisconsin-Madison. Please join us in congratulating Dr. Goldberg on this award. The Midwest Sociological Society is thrilled to announce Meghan Burke as the winner of The Sociological Quarterly Award, an award that recognizes outstanding scholarship published in the TSQ for the last two years. The Publications Committee of the MSS evaluated every peer-reviewed article published in the TSQ in 2017 and 2018. It is the consensus of the committee that Burke’s article “Racing Left and Right: Color-Blind Racism’s Dominance across the U.S. Political Spectrum” represents the highest quality of research and methodology, theoretically-informed inquiry, and publicly important scholarship published in the TSQ for the last two years. Burke’s article uses in-depth interview data to examine racial politics in distant two locations in the U.S. political spectrum – Tea Party members and liberal community activists in northeast Chicago. Burke discovered that the underlying racial ideologies of these groups are not so distant. Both share a belief in color-blindness as a normative foundation for their political beliefs. Drawing on, and considerably extending, Eduardo Bonilla-Silva’s notion of color-blind racism, Burke demonstrates how color-blind ideology provides an important function for both groups. For Tea Party activists, it allows them to talk about immigration and welfare in seemingly race-neutral terms. It gives them a language to push for neoliberal policies allegedly rooted in patriotism and hard work. For community activists, color-blind values allow them to talk about race in terms of tolerance and diversity instead of social justice. For both, the language of color-blindness gives them the opportunity to construct an identity as a good person, someone who is open-minded, non-racist, and an embodiment of true American values. Burke’s scholarship reveals that color-blind racism is more prevalent on the political left than we had previously recognized. Moreover, “traditional” or overt racism can only partly account for the right’s racial ideology. In Burke’s words, “color-blind ideology and its coded discourse constitutes the dominant framework for understanding and discussing race and racial inequality in the United States, transcending both political party and differences in political ideology.” The Committee feels that Burke’s research exemplifies the mission of the journal in producing scholarship that has a strong theoretical contribution, solid methods, and is publicly useful. Meghan Burke should be commended for using and extending a difficult concept in sociology to address an important quandary in American political and social landscape. Congratulations to the newly elected MSS board members! 2019 Annual Meeting Registration is now OPEN! This year's theme, "Queering/Querying Bodies," is helping to shape an interesting and exciting collection of paper sessions, panels, roundtables, posters, workshops and compelling new sessions types. Presentations are getting those finishing touches, competitions are being planned, food is on order and the excitement is building! So, research your stops on The L, check your reflection in The Bean, call dibs on that last piece of deep dish pizza, and and grab yourself a pop... We'll see you in Chicago! REMINDER: Participants in the program must be MSS members AND register for the meeting, unless given special permission by the Executive Office. The Midwest Sociological Society (MSS) seeks an individual with a distinguished scholarly record and editorial experience to be the next editor of The Sociological Quarterly (TSQ). Since 1960, TSQ’s contributors, peer-reviewers, advisory editors, and readers have made it one of the leading generalist journals in the field. Editing TSQ is a unique, rewarding professional responsibility that brings visibility and distinction to a department and university. During his/her four-year appointment, the editor solicits, reviews, and makes decisions about all manuscript submissions. The editorial office employs an efficient, productive web-based submission and peer review system, ScholarOne Manuscripts. The new editor will open an office no later than March 1, 2020, and will edit volumes published in 2020-2024. The review process begins Feb. 1, 2019. Finalists will be interviewed during the MSS Annual Meeting, April 17-20, 2019, in Chicago. Read more about the position, application process and more on the TSQ page or in the Call for Editors - TSQ. Each year, MSS sponsors a Minority Fellowship Program (MFP) Fellow with the American Sociological Association. Join us in welcoming the 2018-19 Fellow, Bianca Gonzalez-Sobrino. Bianca is a PhD candidate at the University of Connecticut. She received her bachelor’s degree from the University of Puerto Rico, Rio Piedras and her master’s degree from Mississippi State University, both in sociology. Her research interests include race and racism, ethnicity, media, and culture. Her dissertation, titled “Competing to Survive: Identity and Racial Threat in Puerto Rican Hartford,” examines the racial identity formation processes of Puerto Ricans in Hartford, Connecticut as a mechanism of racial threat and ethnic competition, and the ways in which physical space is negotiated in a predominantly Latinx city. Bianca uses ethnographic and interview methods to draw on the experiences of the Puerto Rican diaspora to explore issues of race, identity, belonging, and racial negotiation. Previously, she has explored the role of racialization in the media, and the construction of Puerto Ricans in relation to social belonging and exclusion. Her work has been published in Critical Sociology, Sociology Compass, Sociology of Sport Journal, Contexts, and Ethnic and Racial Studies. Bianca is a former Jackie McLean Fellow from the University of Hartford and has received several prestigious awards from her university. Outside of her research, Bianca is committed to social justice and racial equality through teaching and service. The Midwest Sociological Society and the sociological community recently lost one of its guiding lights. As many of you know, Peter Hall died in early December. This is a huge loss and one that’s deeply felt in the field of sociology in general and for our professional society in particular. Peter was a leading figure in symbolic interactionism. He was a former president of both the MSS and the Society for the Study of Symbolic Interactionism. The Peter Hall Lecture Series was established at the MSS fifteen years ago in his honor. Author of two books and over fifty articles, he was a contributor to many sociological subfields, most recently environmental sociology. He was an important scholar but he was also a good person, mentor, and teacher. He had a strong interest in social justice which has its roots in his involvement in the Berkeley Free Speech movement during the 1960s. The current issue of The Sociological Quarterly, of which Peter was a co-editor, has a few pieces that pay tribute to his considerable impact on sociology. I urge you all to read those memorials and reflect on his substantial legacy. Founded in 1936, MSS is a membership organization of academic and applied sociologists as well as students of the discipline. About 2/3 of the 1300 members live in the Midwest, but membership is open to all; and about 1/3 of the members are from other parts of the nation and the world. Organized in 1936, MSS held its first annual meeting in 1937. In 2011-12, MSS celebrated 75 years of scholarship and collegiality at our annual meetings in St. Louis and Minneapolis. - Support a minority fellowship, several grant and award programs, and research by MSS members. With the adoption of a long-range strategic plan, MSS is moving forward intentionally, to meet the challenges of the future. MSS members enjoy our journal, The Sociological Quarterly, a friendly but rigorous annual meeting, access to grants and awards, opportunities to learn and serve, and paths to enhanced leadership skills. MSS’s 1300 members differ in sociological specialty, location, ethnicity, gender and age [19 to 88!] – but coalesce around their fascination with sociology and their willingness to give back through voluntary service to MSS. Last year, MSS distributed more than $28,000 to 165 MSS members through competitive awards for scholarly work, prizes for student paper competitions, research and travel grants, and a $10,000 minority fellowship through ASA. MSS publishes up to 70 research articles each year in The Sociological Quarterly. Articles cover the entire spectrum of sociological research and inquiry and are often organized into symposiums or special issues. TSQ, as it is familiarly known, is currently edited by Peter Hall, Michael Lacy and Prabha Unnithan, all of Colorado State University. MSS annual meetings attract up to 1200 sociologists each year by offering nationally-known plenary speakers, intriguing paper sessions, invigorating roundtables, instructive workshops, and interactive poster sessions. Always held in a major Midwestern city, MSS annual meetings also include tours, social events, meet-ups and networking opportunities.